On this and the following two pages you will find useful copyright information. Grouped relatively, but presented in no particular order, are the major elements one needs to research and study in order to gain a capable working knowledge of copyright law. 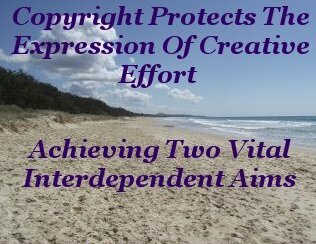 Copyright law protects the expression of creative, or intellectual, effort. By doing so this achieves two vital, interdependent aims, both of equal importance. One, the public across the board gain access to knowledge, art, and entertainment. Two, the creator gets financially reimbursed for any given effort, enabling him or her to eat, live, and create anew. And our vital blood, the economy, powers ahead. Just like Road Rules keep us on track on the roads, intellectual property rules allow each of us to know what others are doing - or should be doing - in given circumstances. A good place to start building one's comprehension of Copyright Law is with the realization of Copyright Protection. A common Intellectual Property Law query is, how to protect an idea? Wisely, intellectual property rights law does not protect ideas, merely the expression of an idea. Generally speaking, copyright protection is afforded the moment an idea is expressed in a physical form. 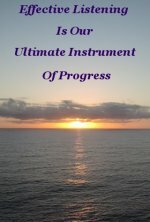 You may jot down a few lines of poetry with a pencil on a table napkin, type a complete novel on your computer keyboard, or use a brush or your feet to paint a captivating self portrait. Copyright protection is automatically granted to the original creator of a work. But these entitlements can be transferred or sold to another entity. This action is termed Rights Assignment. Once the idea is physically expressed in an original form, if you are the sole ﻿Author, you immediately and exclusively own the rights to reproduce that particular expression. To disseminate a creative effort, an Author can use any medium as seen fit. Radio, street busking, television, word of mouth, print, or any other avenue. Digital or otherwise. Copyright Protection is extended to all forms of artistic performances, literature, movies, sound recordings, song lyrics, house plans, engravings, photography, paintings, blueprints, software, sketches . . . This coverage is all but infinite. When others replicate your Original Expression, or part thereof, without your permission, they are violating your exclusive rights and committing an infringement. Any infringement entitles you to seek compensation for any and all loss. Seeking of Compensation involves the assistance of the legal profession. The original producer of a creative expression is referred to as the Author. Other circumstances, such as commissioned works, recording companies and contract artists, movies, and live performances, are less clear cut. If involved in such circumstances, and doubt exists, legal advice should be sought. Copyright Owner Rights form two separate categories. These are the Economic Rights and Moral Rights. Economic rights can be seen as exclusive income producing sources and vary depending on the character of the creative expression. Literary and Artistic works for instance, have different economic rights attached. Moral rights include the right of attribution of authorship, and conversely a right not to have authorship falsely attributed. Whether or not Economic Rights are assigned, Moral Rights remain with the creator of a given work forever. 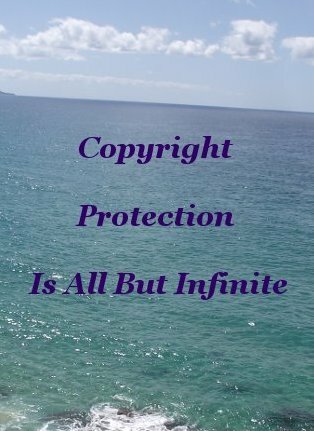 Copyright can be bought, sold, negotiated, shared, willed, given away, or otherwise treated in the same manner as any personal chattels. 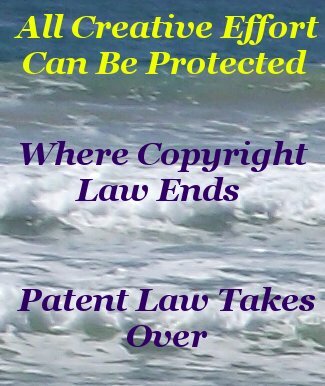 Any circumstances where Copyright ownership is not perfectly clear and where Assignment of copyright is involved, is, perhaps, one of the most pertinent areas to seek sound legal counsel before making decisions. All creative effort is protected. Where copyright law ends Patent Law takes over. But with a significant difference. 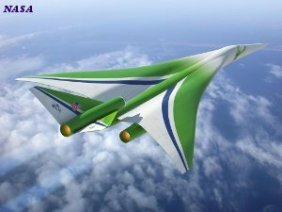 Patents protection includes inventions, useful innovation, and many industrial processes. Protection extends rights holders a monopoly to exploit their conception commercially, for the life of the Patent. Unlike copyright, patent protection is not automatic. Patent applicants must follow a formal procedure, often-times drawn out, with (supposedly) stringent requirements, and no guarantee of securement. Compared to Copyright security, Patents are the poor cousins. These poor cousins receive a modest protection span of a maximum twenty years, as opposed to the typical “life of the author plus seventy years” that is granted by Copyright Law to published works in many Countries. Some Countries offer an even longer protection span. Not withstanding the above timespan, contributing to the complexity of copyright legislation, the duration of protection is dependent on a number of considerations. considerations include whether works remain unpublished, the category the works belong to, and the time when the work was produced, can all have a bearing on the protection provided by law, and these should be investigated with diligence. Indeed, protection can be perpetual. If a particular creative expression is not published, copyright lays in abeyance until the day that a work is published. The appropriate duration of protection applies from that date. Including posthumously. These complex laws exist for the sole purpose of preventing copyright infringement. This is the subject of the next page of useful copyright information.